As part of The Johannesburg Review of Books January Conversation Issue, read Amatesiro Dore’s Letter to a Young Queer Intellectual. 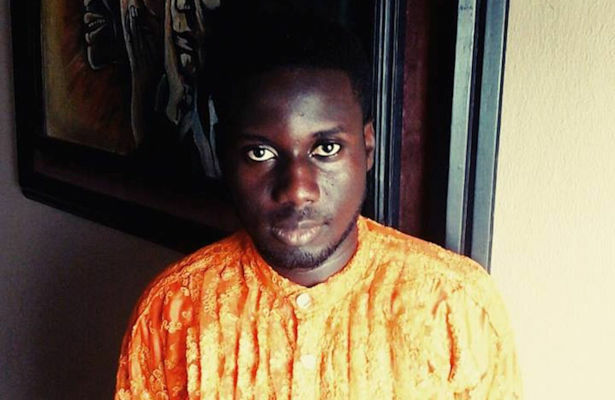 Amatesiro Dore is a 2019 writer-in-residence and fellow of the Wole Soyinka Foundation, 2009 alumnus of the Farafina Trust Creative Writers Workshop, and 2015 fellow of the Ebedi International Writers Residency. In 2016, he was awarded the Reimagined Folktale Contest and the Saraba Manuscript (Nonfiction) Prize. His short story ‘For Men Who Care’ was shortlisted for the 2017 Gerald Kraak Award. His fiction has been published in London’s Litro and in Harvard’s Transition magazine. I’ve been meaning to write. Sorry I missed your calls and have not been able to return them. I read your manuscript and I’m angry that you have deceived yourself into believing you need my opinion or any other before you send it out for publishing consideration. I was angry because you reminded me of myself and my years of literary stupidity, timidity and unnecessary quest for validation. That was how I and my generation lost almost a decade of literary progress and achievements because we were desperately seeking the blessings and endorsements of one literary Madam and Oga or another. Creating lords and mistresses over our destinies; tyrants and gatekeepers who were only interested in dictating who and what gets published; queens and kings who ensured the table was reserved only for them and their works, as if only one man or woman can satisfy the literary appetite of billions, as if there was only one particular way of cooking Nigerian jollof, as if only one cook can feed the world. Hope you get my point: there’s always market for any writer in the world and you’re not in competition with anyone. Just write your work and your audience will find you. Chikena! Since I cannot send you money at this stage of my career, I will give you words and share experiences that will make your career easier, advance the standard of African literature and improve our collective hustle.